The general objective of the course is to train technical officers to be able to assess the possibility of upgrading the energy efficiency of existing buildings with particular reference to the rate of return of investments and incentives available at regional and at national level. 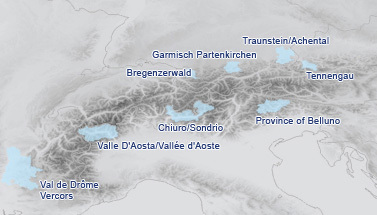 On this training day, the module "The European project AlpHouse and the energetic renovation of the building envelope through some case studies" will be presented. In the first part of the module the AlpHouse philosophy will be introduced. In the second part the different technological solutions will be discussed including the renovation of existing buildings (choice of insulation, average costs of materials and technologies, etc) with a brief look at the different technological solutions for the optimisation of the plants. 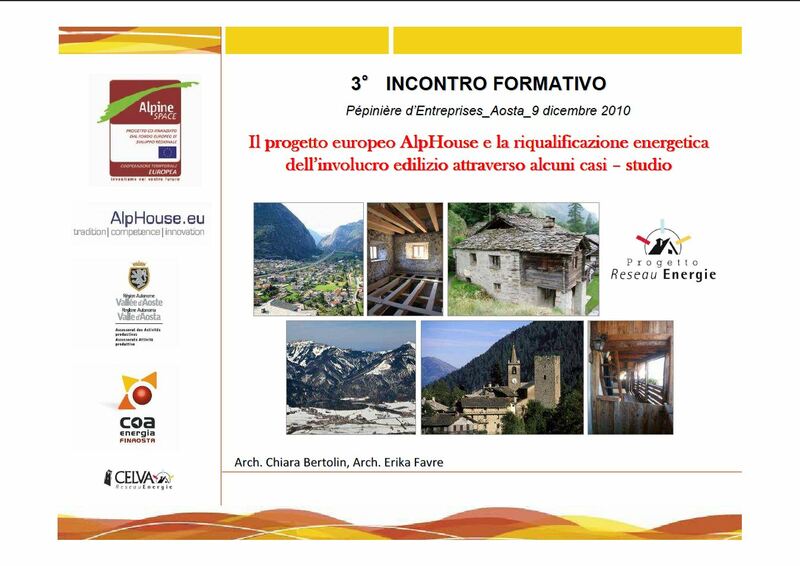 In particular, two "pilot buildings" of the analysis provided in the project will be presented, chosen as case studies to highlight the characteristics of vernacular buildings, pointing out the peculiarities of the Aosta Valley building stock over different construction periods. For every vernacular building in the original condition some construction details and thermographic pictures will be analysed, showing the main problems related to the envelope heat losses. Every construction detail of the original condition will be compared to the construction detail of the energetic renovation, with some references to the materials and to the procedures for the installation. For further information please see training programme (for download click here).